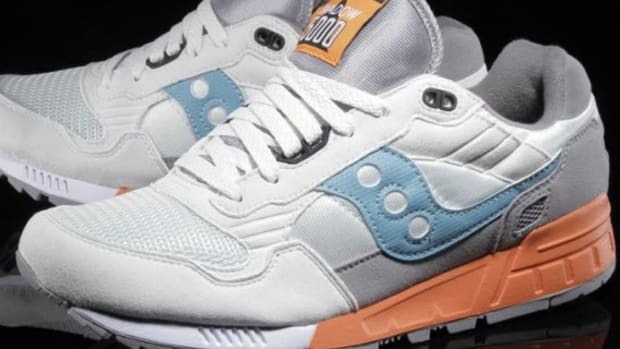 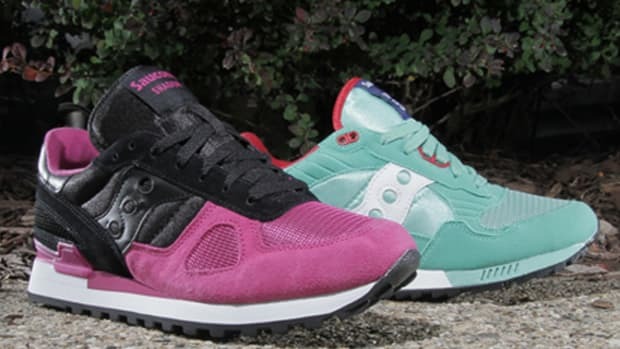 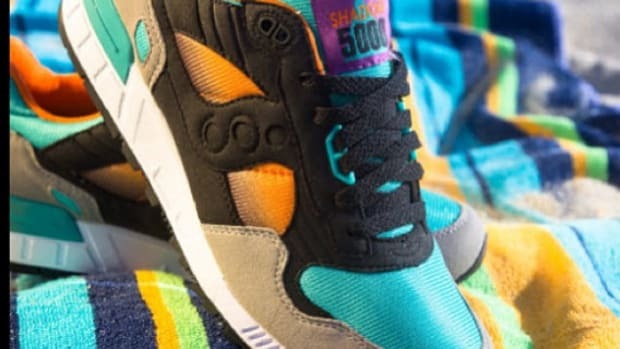 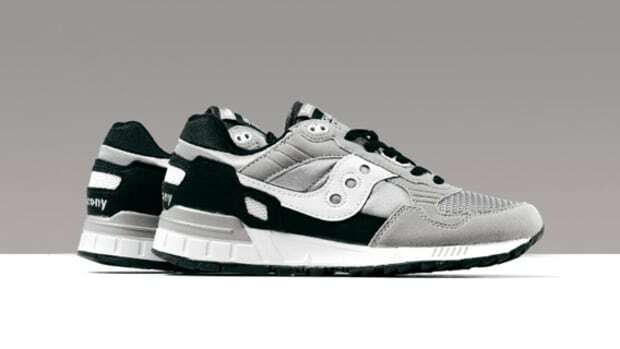 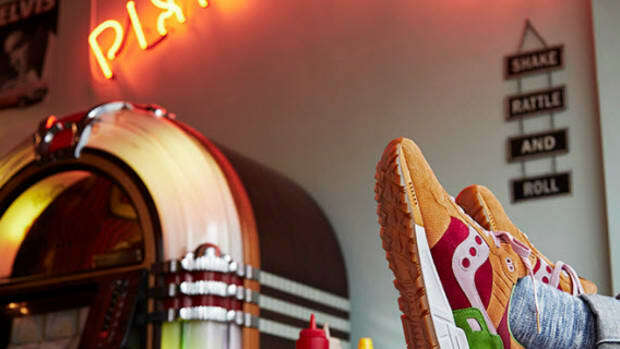 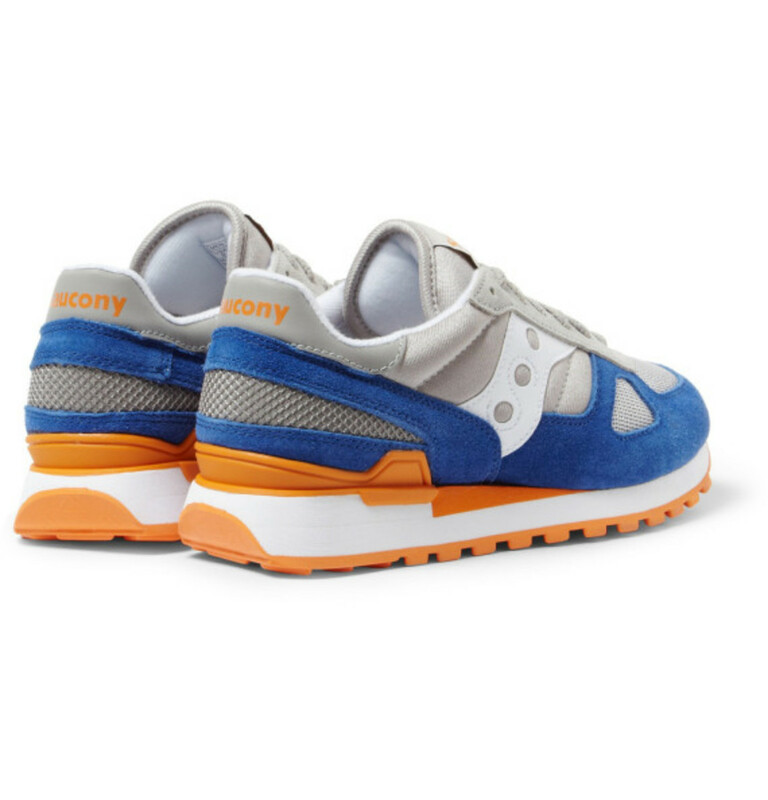 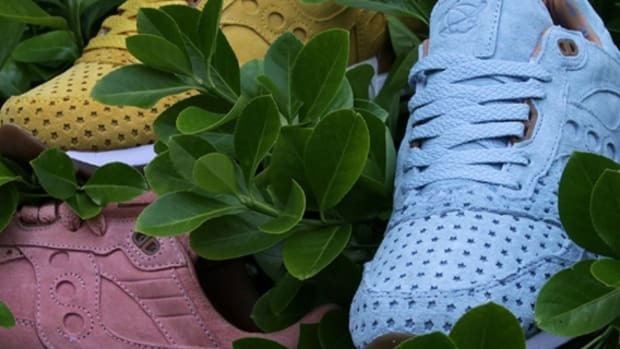 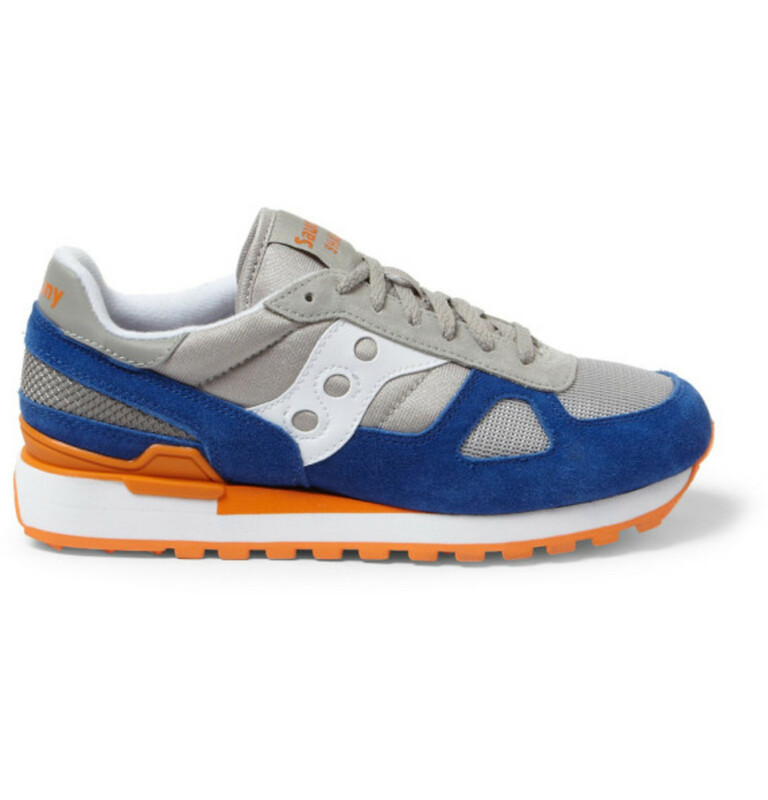 For your summer wearing pleasure, Saucony mixes elements of the Jazz Original and the OG Shadow 5000 to create a sneaker with relaxed look to match its comfortable build. 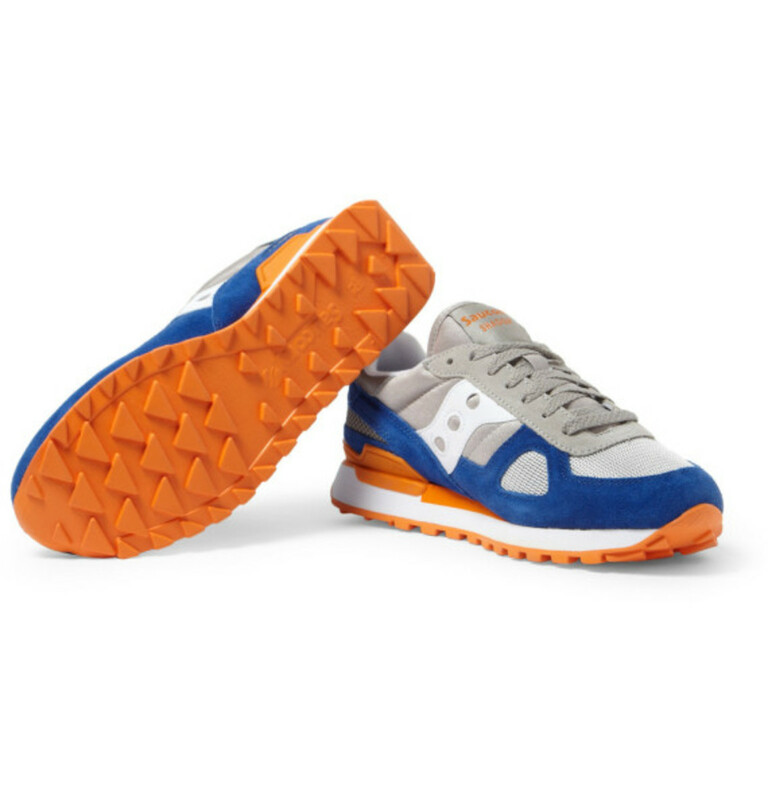 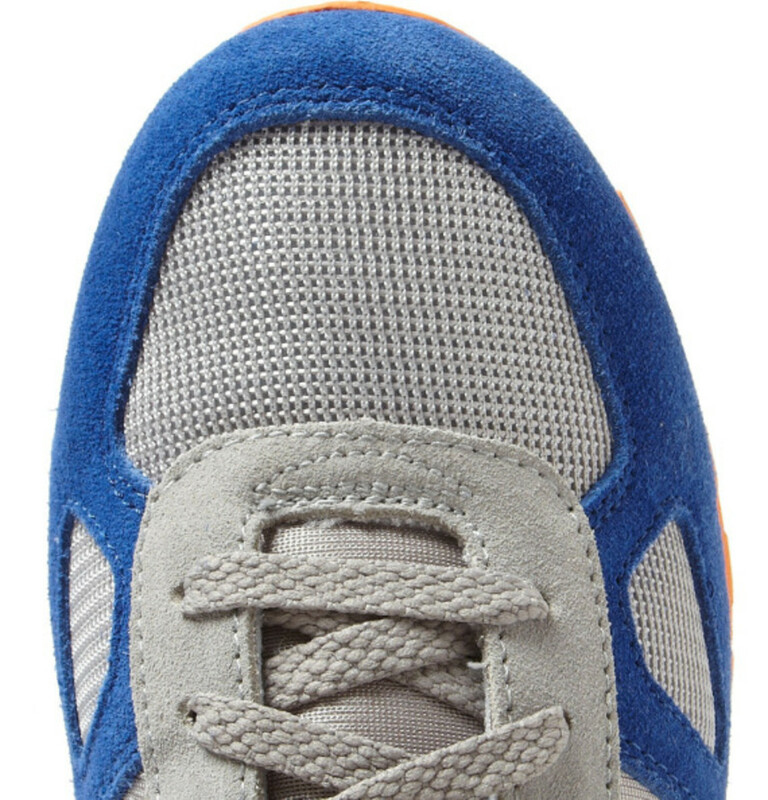 Pairing navy blue and grey suede panels with hits of mesh around the toe and heel, the brand uses a warm burnt orange to add a touch of visual contrast in the rubber sole and heel insert. 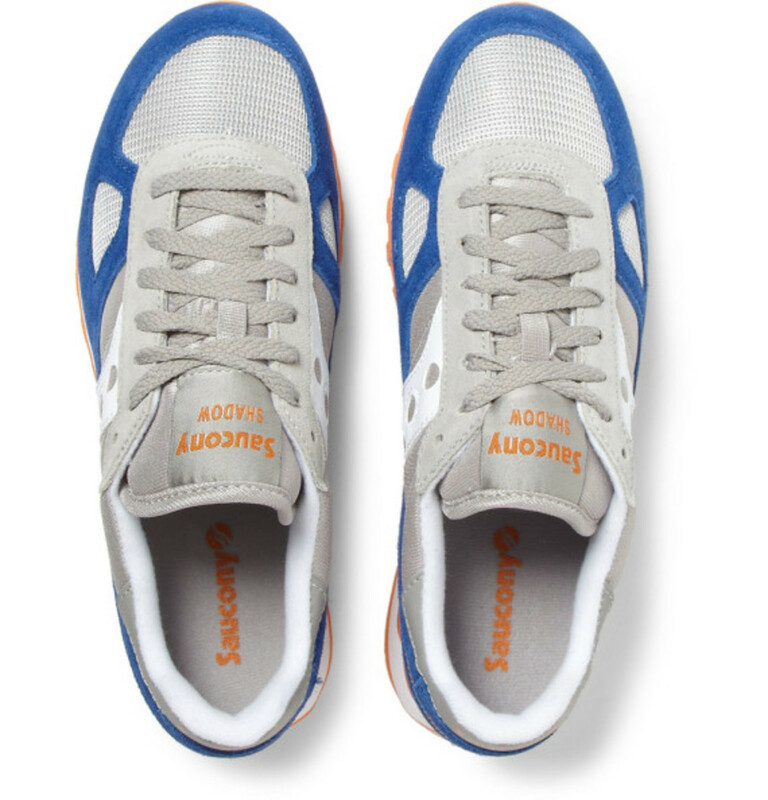 A white leather brand emblem links the inner liner and midsole stripe while a padded tongue and ankle round out the look and provide the support you expect. 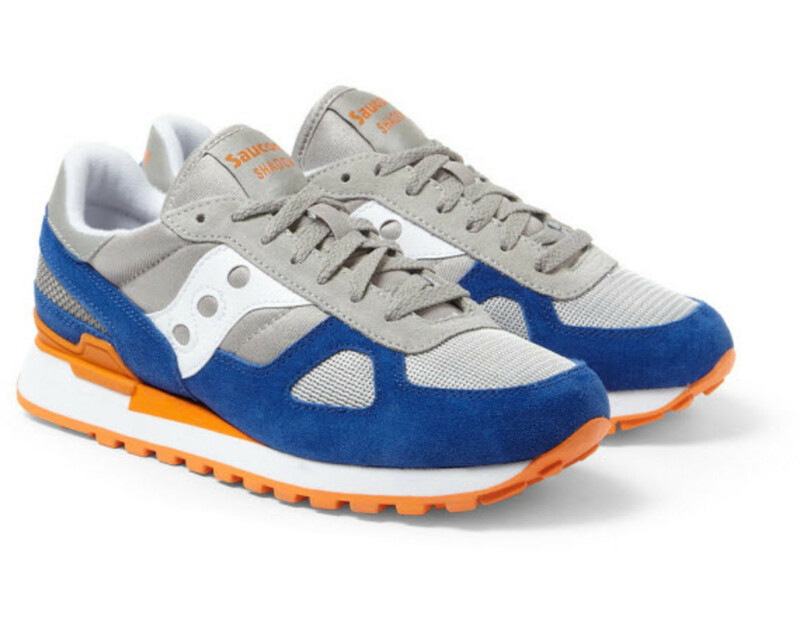 Continue after the jump for more preview shots and look to Mr Porter to purchase for $65, but move quick as these are sure to sell-out in a blink of an eye. 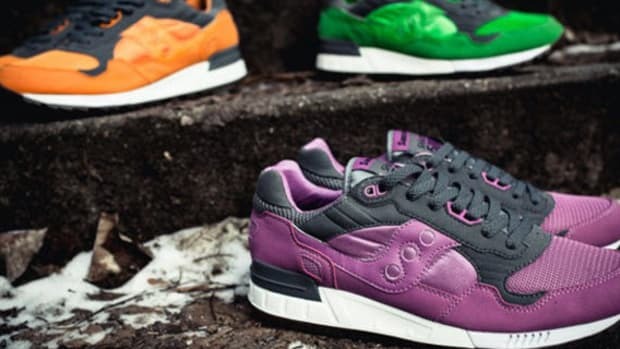 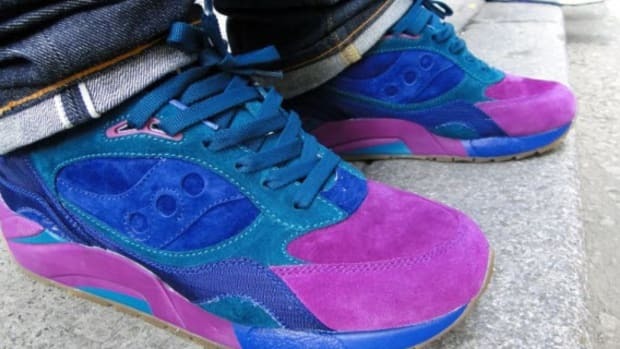 Solebox x Saucony Shadow 5000 - "Three Brothers Part 2"